It is always – even in a small degree – my intention that your mind be blown when you visit Iron Leg. Mileage will vary, depending on the proximity of your tastes to my own, but every once in a while I know that I’m posting something pretty much guaranteed to hit the mark. 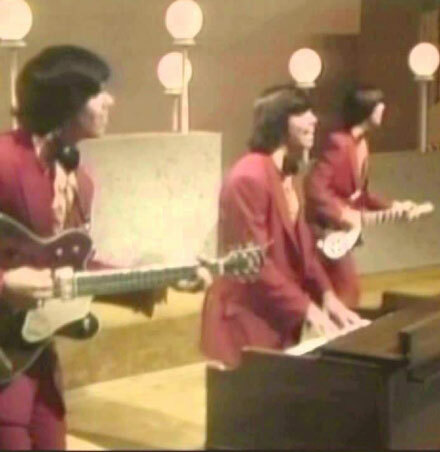 The Cowsills are one of the truly great, and deeply underestimated pop bands of the 1960s. Their greatness owes a lot to the vision of the eldest Cowsill brother, and de facto leader of the band, Bill. 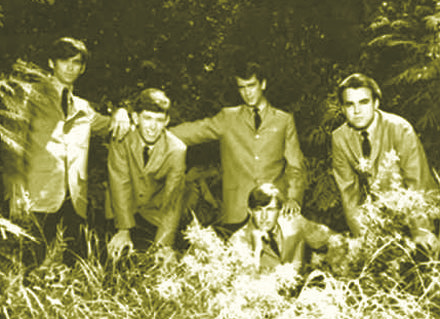 Unfortunately, due to his clashing with their father, a volatile individual who was seemingly more interested in marketing his children as teen idols than in nurturing their musical talent, Bill the younger was forced out of the Cowsills in 1968 (though there seem to be indicators that he was clandestinely involved in the group’s records to some extent afterward). 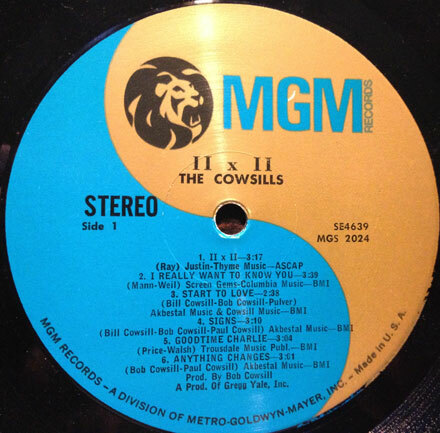 The first album the Cowsills would record after his departure would be 1969’s ‘II x II’. Today’s selection blew me away the first time I heard it, mainly because it’s one of the heaviest things the Cowsills ever recorded. ‘Anything Changes’, written by Bob and Paul Cowsill, opens with what sounds like a Hammond organ being pushed into a giant reverb tank, followed by fuzz guitar and heavy bass. 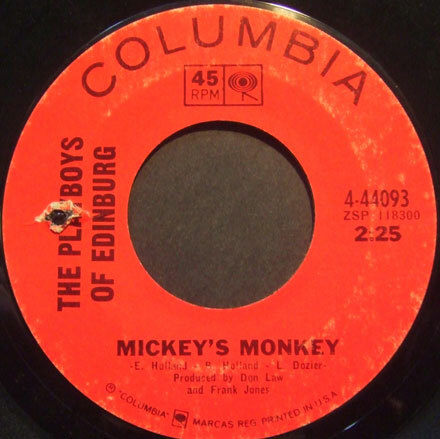 The sound is a lot closer to the kind of thing Stephen Stills was doing toward the end of his tenure with the Buffalo Springfield and on into CSNY, and the really groovy thing is, that on top of all this heaviness is a nice, juicy layer of those patented Cowsills harmonies. Though Bill co-wrote a few songs on the album, I have no idea if he managed to play on it at all. 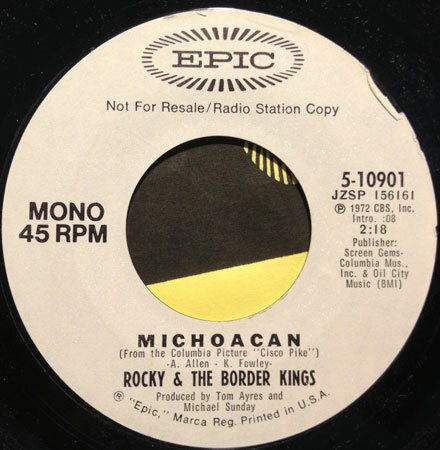 In the years after he was ousted, he recorded a very cool solo album for MGM (‘Nervous Breakthrough’) and did some freelance production work for Bodine (featuring ex-members of the Daily Flash) and Lightmyth. 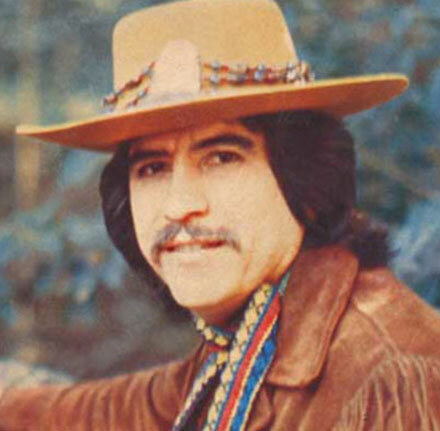 He would eventually make a brief reconnection with the Cowsills, and then do a one-off (and rare) single in 1974 with a band called Bridey Murphy, composed of Barry, Paul and Bill Cowsill as well as Waddy Wachtel, who along with his girlfriend Judi Pulver had been in the oribit of the Cowsills for a few years as songwriters. Fortunately, all of the Cowsills albums are excellent, cheap and plentiful, and if you don’t have them, you should go out to one of your finer garage sales or flea markets and scoop them up. Dig the sounds, and I’ll be back next week with a new episode of the Iron Leg Radio Show.